Australian tango dancers, Jarny Choi and Teresa Lavers will present a tango lesson for intrepid festival goers prior to the concert – learn about the connection, rhythm and cadence of this improvised art form with live tango music performed by the Firebird Trio. No previous tango experience necessary. Smooth soled shoes ideal. A delightful evening awaits! Tango Class is a free optional event for Concert ticket holders only. Purchase your concert ticket then request your ticket for the dance session by email and we will issue it to you. There may be space limitations depending on how many people want to attend. Firebird Trio tells the unique story of tango music from the 1930s Golden Age of Tango through to tango nuevo and the modern day – interweaving the desires, sorrows and spirit of this iconic Argentine art form. Firebird Trio delights in performing early works from the masters of the Golden Age, including Carlos Gardel and Angel D’Agostino, where the tango found its origins in the sultry milongas of Buenos Aires. By the middle of the twentieth century the tango had burst onto the concert stage with tango nuevo as championed by Astor Piazzolla, and inspired generations of composers to come. Firebird Trio – like its mythical counterpart which shone magically through the darkness – sheds light on music from all epochs. Founded in 2010, Firebird Trio has performed nationwide to critical acclaim, with a vibrancy of imagination that echoes its name. 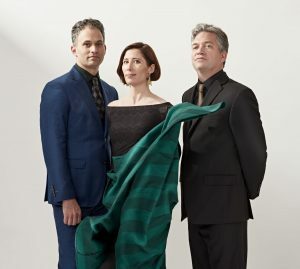 Described by The Australian as “an ensemble of immense energy and focus” and praised in The Age for their “togetherness, charisma and playfulness”, Firebird Trio has performed around Australia including for Musica Viva, Noosa Long Weekend Festival, Coffs Harbour Music Society, Camberwell Music Society, Macedon Music, Albury Chamber Music Festival, Melbourne Recital Centre, 3MBS Marathon and ABC Sunday Live. Their performances are regularly heard on ABC Classic FM and 3MBS FM.